I have been running from Zombies. This time last year ( 2013 ) I had bought some running gear, new shoes, suitable trousers and top, something to ensure I could be seen on dark mornings and darker evenings. I had signed up to the #LETJOG14 project with the aim to run Lands End to John O’Groats over the course of one year. We would track our mileage and check in weekly and we would discuss our progress. As always though there was a catch. I was not a runner. Despite a regular fitness regime thanks to my XBox Kinect and my cycling habit I was not out of shape; but I certainly lacked the stamina and cardio experience for running any distance. So it was on January 1st 2014 I stepped out on a cold morning with the voice of Abel Townships main radio operator Sam Yau in my ears and I started to run from Zombies. I started out with the ‘Six to Start’ Zombies!Run, 5K Training program which took me from no experience through increasingly distant and harder routines until I was left to run a 5k Distance as quick as I could. Back then it was closer to 50 minutes to cover the 5k distance but since then and thanks to Zombies!Run I have been keeping a steady pace and improved my times and my distances taking the 3 Mile ( 5K ) distance down to 27 minutes and finding myself heading out on regular 10k and 12k runs and loving it. 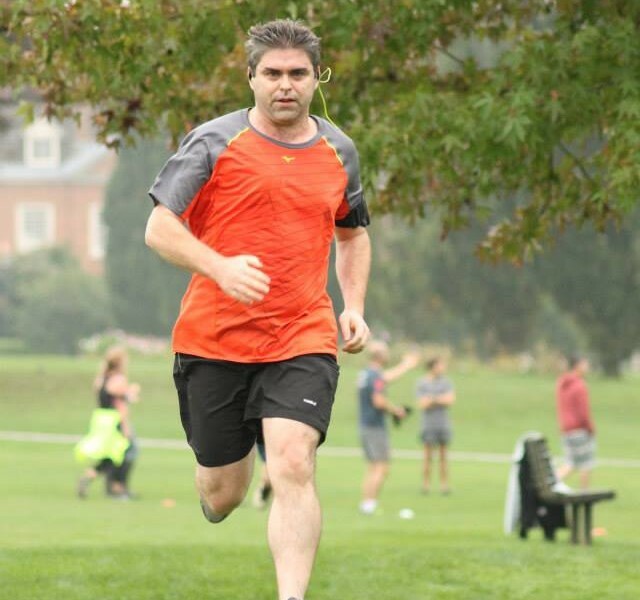 Summer rolled into Autumn and Parkrun came to Horsham with a weekly Saturday Morning 5k opportunity which has brought a sense of satisfaction to running in a crowd and finding my stride. 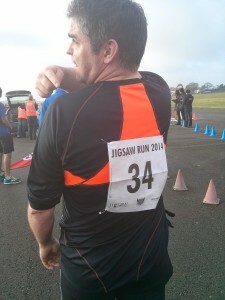 Before long I had signed up to a proper 10k race over at Dunsfold aerodrome and I came home with my first experience of running with a number on my back , not just in my ears. As 2015 rolls around I have to confess that I am looking forward to improving my 5k times and to finding myself involved with at least one , if not two , half Marathons and who knows where that will lead. One thing is certain though. As I write this entry I find myself twitching to hear the words; Raise the Gates, Covering Fire, RUN!